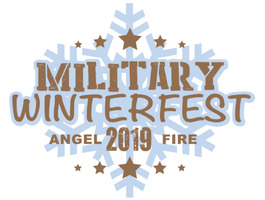 The 2019 Military Winterfest event will be held between Feb. 21st and the 24th at the Angel Fire Resort in New Mexico. The event will be a Rocky Mountain celebration for veterans, working military and their families to take part in skiing, snowboarding, inter-service fun races and more. In 2018, Winterfest attracted over 500 veterans and showcased Angel Fire’s 10,677’ mountain with 80 runs, three terrain parks, 30 acres of gladed tree runs and nighttime skiing. Winterfest also offers huge discounts, including a family-friendly celebratory dinner, daily Twilight Colors Retirement Parades and a meet and greet social along with ski and snowboard lessons for vets. Military Winterfest 2019 directly supports the NVW&HC, which provides treatment for military individuals and their families that suffer from Post Traumatic Stress. The National Veterans Wellness and Healing Center in Angel Fire is a 501(c) 3 non-profit organization incorporated as a result of a study conducted by the Village of Angel Fire and the New Mexico Department of Veterans Services, alongside Angel Fire business and community partners. The mission of the NVW&HC is to establish an environment that is responsive to the needs of veterans and military families using creative therapies and processes that focus on emotional and physical healing.